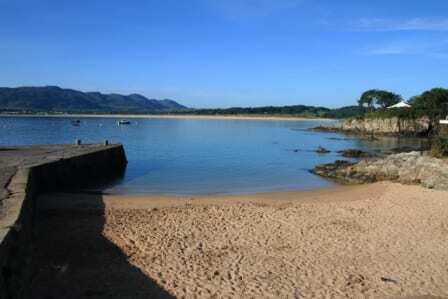 Did you know that Fanad Head Lighthouse is slightly higher than the Eiffel Tower? 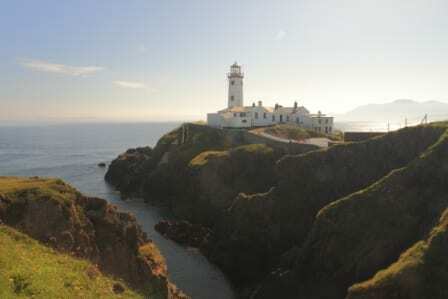 Fanad Head Lighthouse is also the second most Northerly lighthouse in Ireland. The journey to Fanad Head will take you along the Knockalla Coast Road with panoramic views of the stunning Inishowen Peninsula and the Atlantic Ocean. 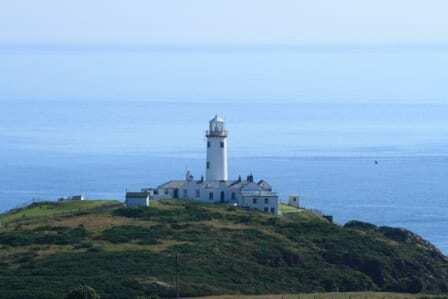 After visiting Fanad Lighthouse, you will have a good appetite as the locals say is brought on by the good clean sea air! The perfect place to visit is Rathmullan where you can taste the local fresh fish and chips that always taste great when eaten down by the pier. You will be well fed and full of energy to continue on the Wild Atlantic Way. 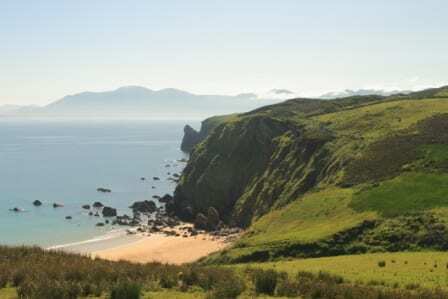 As you approach Fanad Head looking down on Portsalon and Ballymastocker Bay, you will be treated to one of the most spectacular views in Ireland. It is no surprise that this beach was voted 2nd most beautiful in the world in recent years. This area is also an adventure lovers paradise with excellent opportunities for outdoor activities such as watersports, golf and walking for example, the Wild Atlantic Way in Donegal has it all!